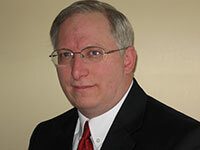 Stephen (Steve) Garchow is President of Foresight Business Consulting™, Inc., a firm specializing in solving critical strategy and marketing issues for healthcare corporations. As a seasoned marketing professional, Steve has an extensive background in the medical device and healthcare industry, where he directed marketing teams to achieve product line growth in global healthcare markets. Steve served in a number of business units with Baxter Healthcare Corporation, including Vice President, Marketing of a $750 million infusion systems business where he created a global marketing organization and provided strategic guidance that maintained market leadership in the U.S. while driving geographic expansion. As part of the senior leadership team, he was instrumental in establishing the vision for this business and led efforts to develop a new strategic plan based upon this vision. Steve also managed an international sales and marketing team in Sydney, Australia, driving double digit revenue and profit growth. In addition to his work at Baxter, Steve has assumed marketing and operations roles with two early stage healthcare companies. In each he has been able to apply his experience to expertly guide them through startup phases, one company of which was sold at a value of three times sales. Throughout his career, Steve has been known for his in-depth knowledge of the healthcare industry, his creative approach to problem-solving, his compelling product positioning campaigns, and for uncovering customer needs upon which the development of superior products were conceived. He has directed more than 20 product and service launch campaigns, seven major business development projects, and numerous strategic planning initiatives. Steve was recognized for his marketing efforts by receiving five marketing achievement awards from his companies. Steve earned a Masters in Hospital and Health Services Administration degree from The Ohio State University, and a Bachelor of Science degree with honor in Medical Technology from Michigan State University. Steve and his wife, Maree, have three children and reside in Libertyville, IL.